This wisdom applies to more than just your diet. How you start your morning has a big impact on your ability to own your day, build your wealth, and improve your health. 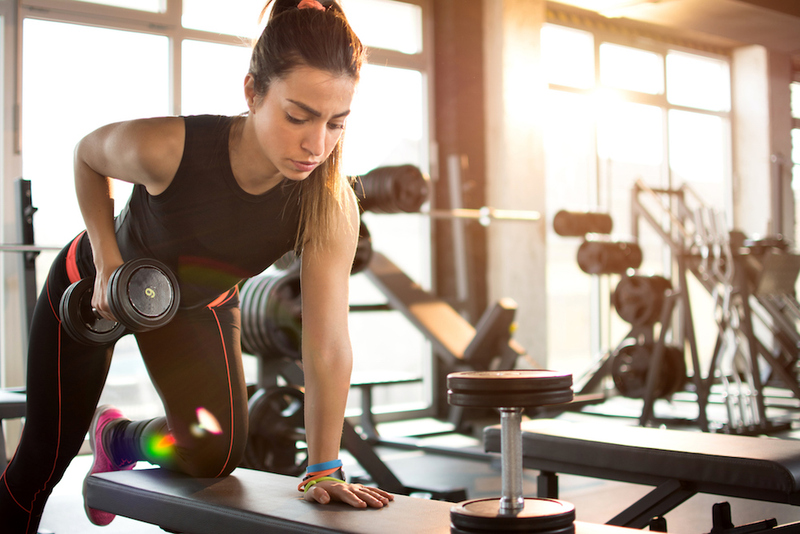 As a young personal trainer, I naïvely wondered why my CEO clients demanded to train with me at 6 a.m. Who wanted to exercise at that time of day? And why did some of them always ask if I’d consider starting earlier? Later, after acquiring a publishing company and expanding my management role, I realized that if my workout wasn’t done early in the day, then chances were it wouldn’t be done at all. The chaos of the world interferes with everyone’s best intentions. That’s why you need to take care of your most important activities early in the day. You don’t have time to do everything. How many people do you know who get up early enough to complete a workout, enjoy a sit-down breakfast before the kids get up, and meditate—all while leaving enough time to beat the traffic to the office. Fortunately, there’s a solution, and it applies to every area of our lives. Whether you are trying to build your wealth, climb the corporate ladder, strengthen your spirituality, or lose weight, there’s one “ingredient” you need to create a successful morning routine. That ingredient is focus. If there’s one thing I see lacking in ambitious entrepreneurs and go-getters, it’s the focus needed to see a project through from start to finish. So how do you find the focus you need for optimum health and wealth? Step one: Rethink your workouts. A few years ago, I stumbled across a research study that would change my life. I was staying at the Biltmore Hotel in Asheville, North Carolina with friends, and we had just wrapped up a dinner and winery tour. My friends decided to keep the revelry going in the hotel bar, but I retired to my room to get a head start on writing the next day’s email newsletter for my fitness business. While scrolling through the latest health research, I came across a study comparing 30 minutes of aerobic exercise with four minutes of high-intensity bodyweight exercises. The results were surprising. After four weeks, both groups had similar improvements in aerobic fitness levels. The bodyweight exercise group also reported significantly greater enjoyment from the workout program. Over the next few months, my company filmed dozens of bodyweight exercise circuits for a new course that became my best-selling product. One of the free sample videos has been watched over 2.5 million times. 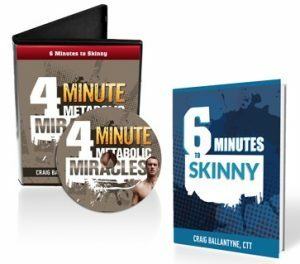 I’m sure you’re wondering: How are you able to get 30 minutes of results in just four minutes of exercise? This is the lesson that appears time and time again. If you have greater focus and concentration—while increasing the intensity of your work and minimizing distractions, temptations, and multi-tasking—results come more quickly. What’s more, the process is often more enjoyable. Step two: Spend 15 minutes on ideation and writing to build your wealth. You’ve heard me say it before, but I can’t stress it enough: Get up 15 minutes earlier in the morning, and make time for the number-one priority in your life. Go down to your kitchen table without your phone, laptop, or any other electronic gadget. Using just pen and paper, work on your number-one wealth building opportunity in life. It might even be overcoming your number-one wealth stealer (like credit card debt), or it might be shaping product ideas that will double your company’s revenue. If you spend the focus time on this priority, you’ll move ahead faster than if you tried to steal snippets time over the course of the day. You can even use this process to write a book. A focused writer can write 500 words in 15 minutes on their area of expertise. Repeated daily, six days a week, and you’ll have written 30,000 words in just 10 weeks—enough for a short book. In short, concentration, intensity, and focus are part of the deep work solution to your life’s problems. Fifteen minutes of clear, focused thinking can make a big difference, just like the four minutes of intense, focused exercise that can give you the same results as a long, boring exercise session. What should I stop doing to increase discipline and focus? If you want to improve your exercise sessions in the morning, then eliminate long, slow, boring, low-intensity workouts. Replace them with the workout videos found in my best-selling course here. If you want to build your wealth or write a book, eliminate the distractions of social media, email, and other electronic “noise,” and put yourself in an environment where you can do the deep work that moves you—and your projects—forward. Add intensity, concentration, and focus to your work and you’ll get more results faster, and enjoy the process more than ever.